Today's featured kitties are 3 look-alikes. Two of them are sisters, and the third is not related. She is gray with 3 white paws and white on her chest and nose. She is 1-2 years old, has been wormed, is up-to-date on shots and flea prevention, and is FIV-negative. 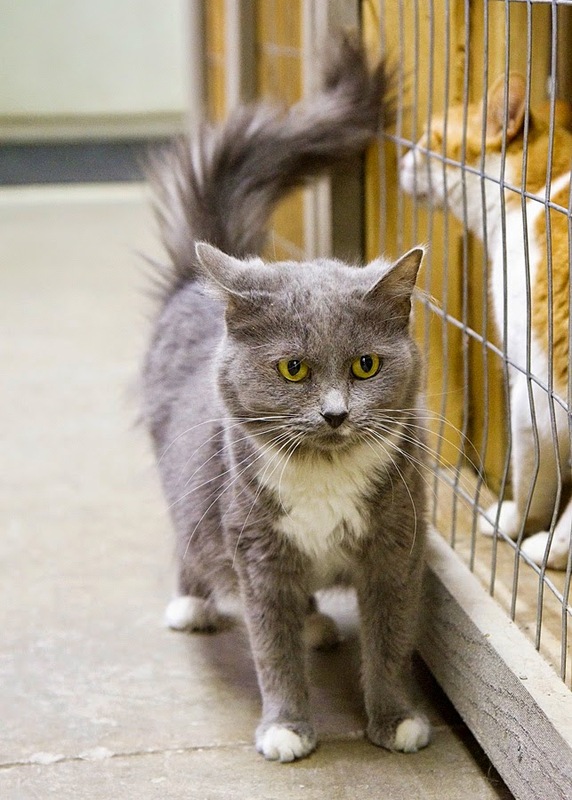 She and her sister Tonya (see below) have been at the Humane Society of Noble County since July. Susie wasn't real thrilled about the camera, but as you can see, she is a beautiful cat with somewhat longer hair. Come visit her at the shelter and consider adding her to your family! Next is Susie's sister Tonya. She is Susie's sister, so she is 1-2 years old and has been at the shelter for about 7 months. She is gray with 4 white paws and a white chest. She has been wormed, is up-to-date on flea prevention and shots, and is FIV-negative. 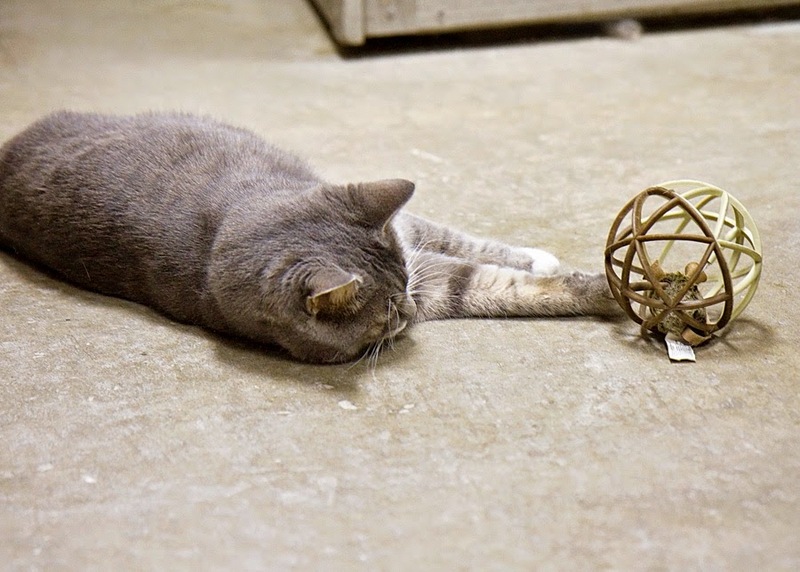 In this picture she is trying to decide if she can get the mouse that's inside the ball. In this picture she is giving it her best shot. 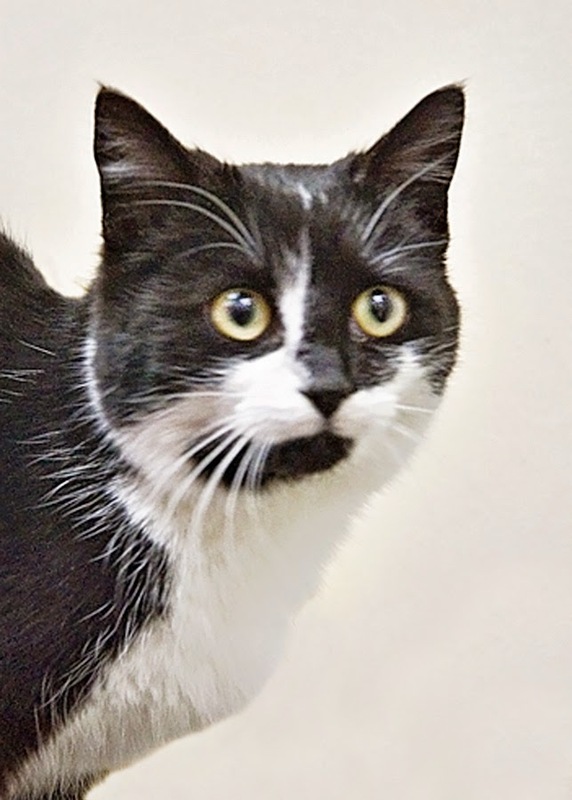 She is an affectionate, playful girl who would love to meet you! This last guy is Pepe. He is a NEUTERED male who is about 2 years old. 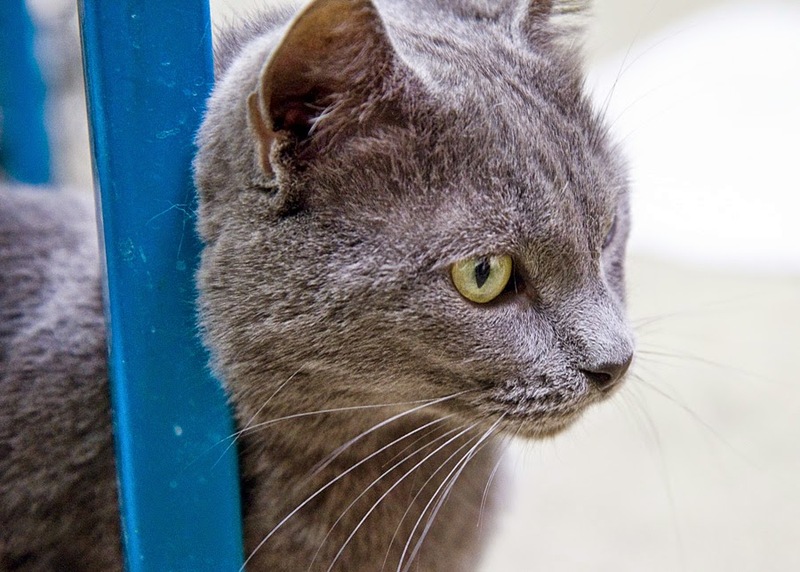 He is a medium shade of gray, with a white chest and white on the tips of his paws. He is current on shots and flea prevention, has been wormed, and is FIV-negative. I couldn't get Pepe to look directly at the camera, but he was friendly and curious. He actually looks a lot like Susie, although they aren't related. He has been at the Noble County Humane Shelter for about 2 months and would love to have a permanent home with you!! All three of these beautiful, lovable cats are available for adoption at the Humane Shelter of Noble County. Come visit them and all of the other wonderful animals who would like to have a permanent home! 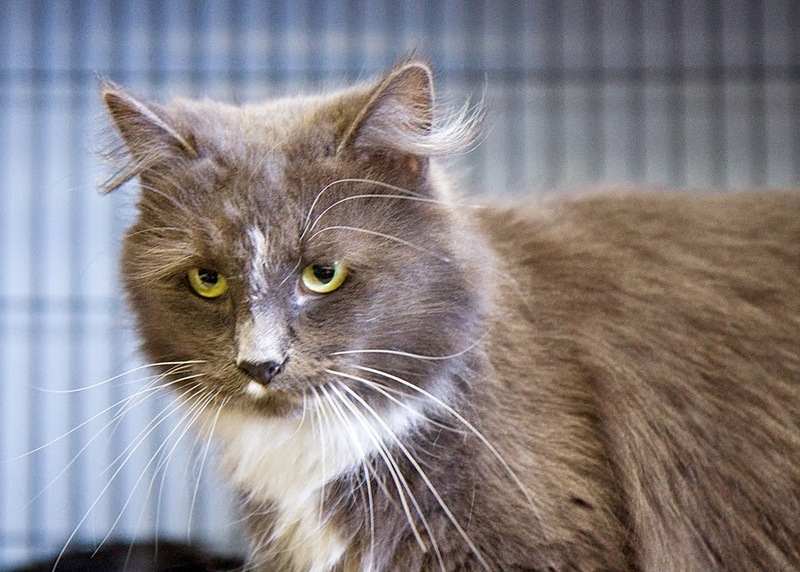 Here are some more beautiful cats who are available for adoption at the Humane Society of Noble County. Please consider making one of them a part of your family! The first cat is Tigger. 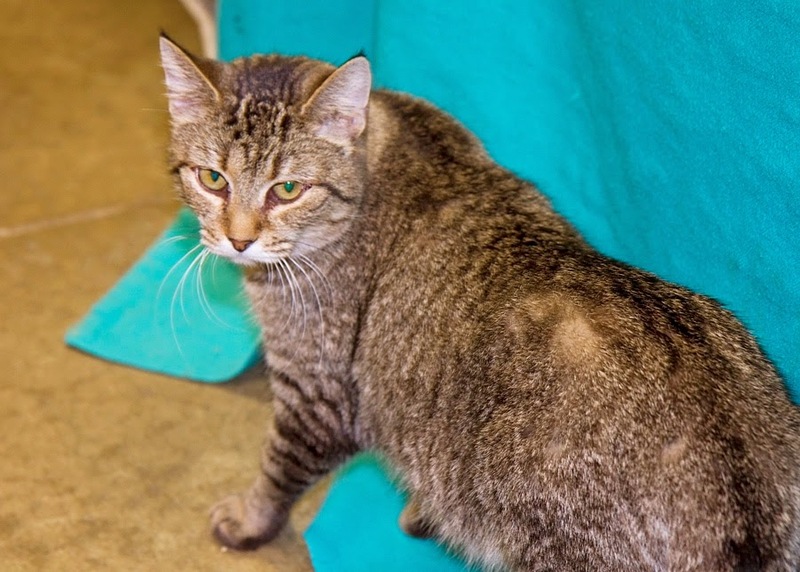 Tigger is a black and tan female tabby, who is 2-3 years old. She is up-to-date on shots and flea prevention, has been wormed, and tested FIV-negative. The unusual thing about Tigger is that she has an extra toe on each front foot - what is sometimes referred to as "mitten foot." You can tell that if you look closely at the second picture. Tigger is a real love-bug! She loves to be petted and cuddled, but she wasn't real thrilled about having her picture taken. She is available for adoption at the Humane Society of Noble County. Come visit her any time! You'll love her! The next boy is Willie. He is a black and tan tabby with a white chest and tummy and some white on his paws. 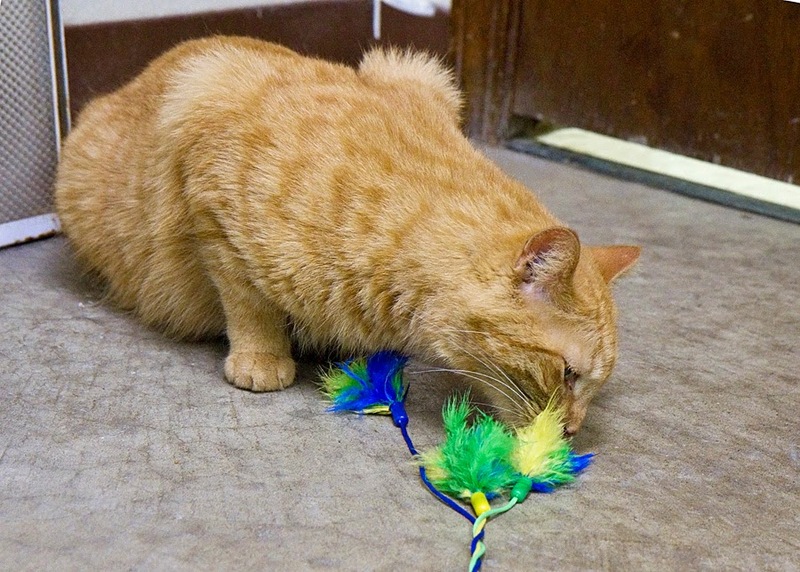 He is 1-2 years old, is neutered, tested FIV-negative, has been wormed, and is current on flea prevention and shots. In this picture, he is trying to decide whether or not he should jump to the top of the cattery. He jumped! Here he is on top of the cattery, being king of the mountain! Willie loves attention! He is also very playful, loves to roll on the floor, and likes to chase toys that have strings or feathers. 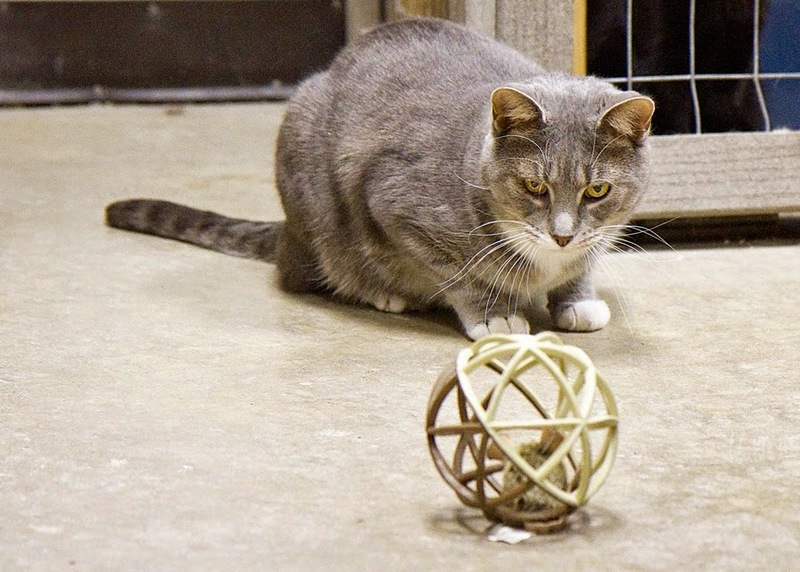 He and Joey were cage-mates, and Joey was adopted on Saturday, so Willie would like to find a forever home too. Come see him at the Humane Society of Noble County. 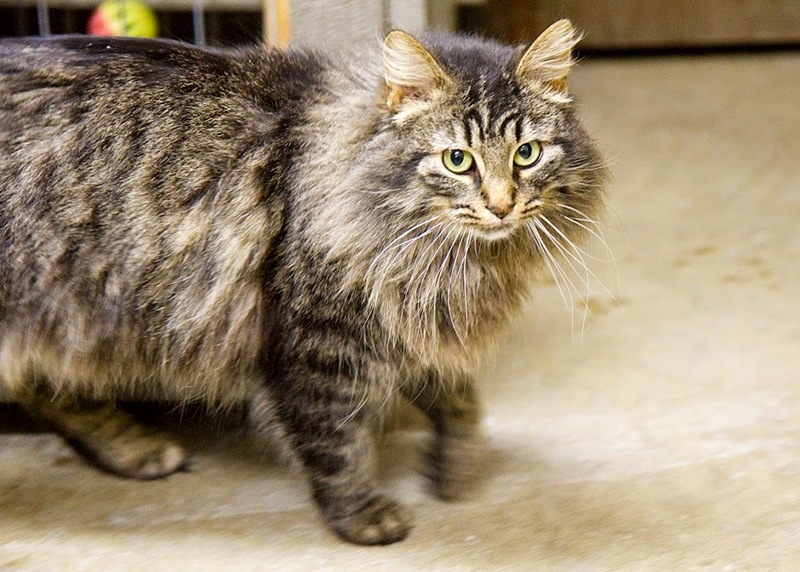 This lovable guy is a long-haired black and tan tabby with a beautiful mane. 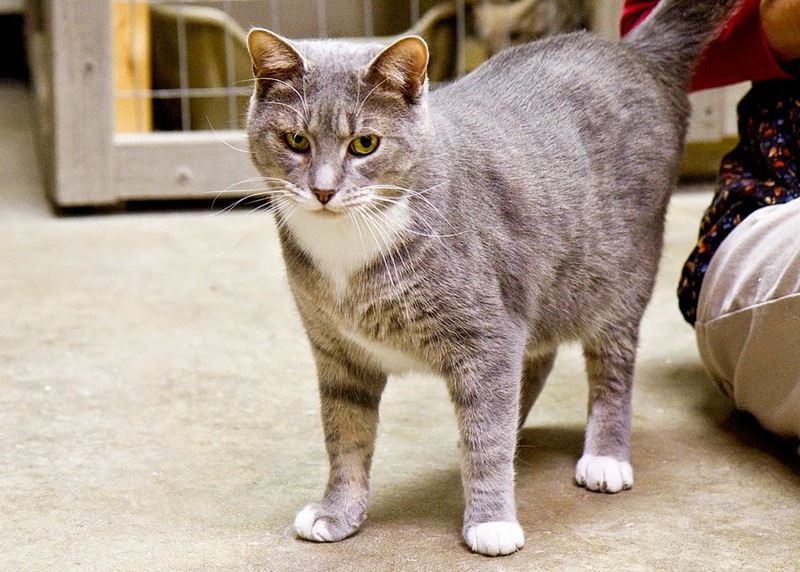 He is a little over 2 years old, and has been at the Noble County Humane Shelter for a little over 3 months. He is current on shots and flea prevention, has been wormed, and is FIV-negative. Emmet is super affectionate! Every time I walk by his cage, he meows and sticks his paw through the cage, asking to be petted. He loves to sit on your lap and cuddle and he likes to be brushed. He can also be playful! Come visit him and give him the attention he craves! 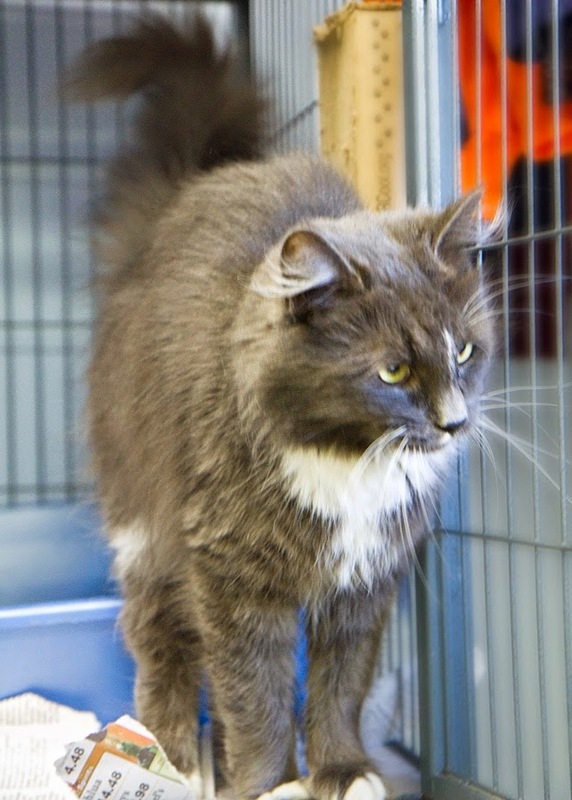 Bobby is aptly named because of his bobtail, which you can't really tell from the pictures. 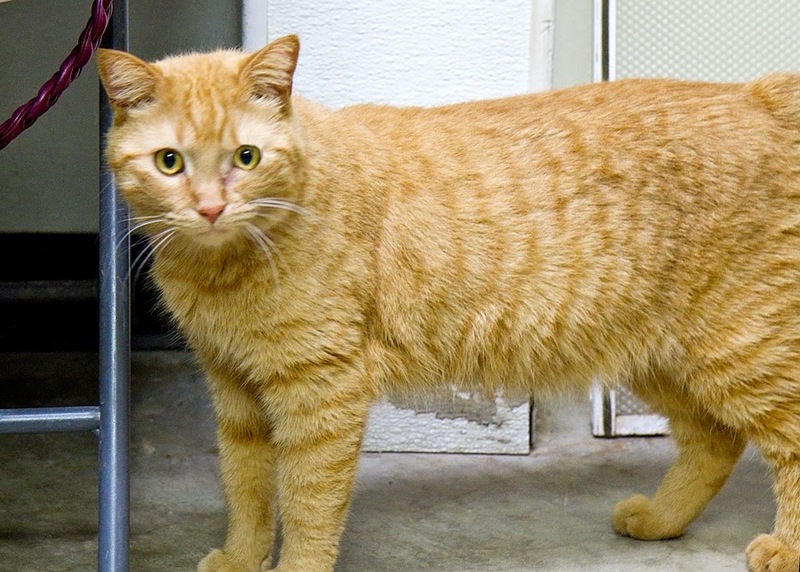 Bobby is an orange tabby, is a little over 3 years old, and has been neutered. He is also up-to-date on shots and flea prevention, has been wormed, and is FIV-negative. 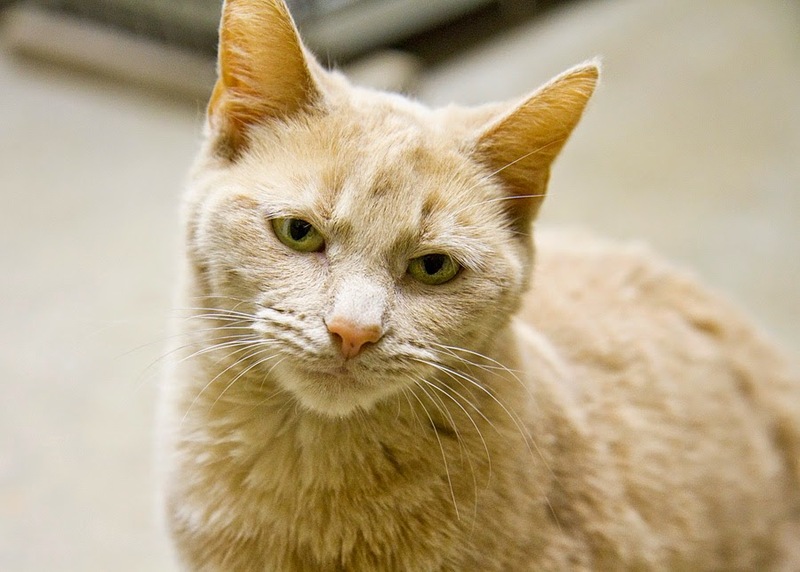 He has been at the Humane Society of Noble County for about 3 months. 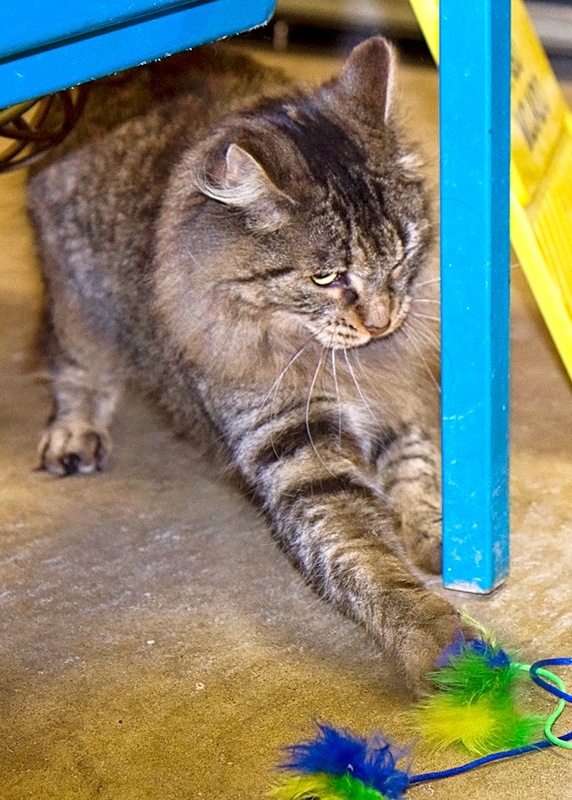 Bobby is a very lovable guy, and he likes to play, as you can see from the picture where he is going for the feather toy! He would love to have you visit him - maybe you could give him a new home! Finally, here is Irene, the newest kitten at the shelter. 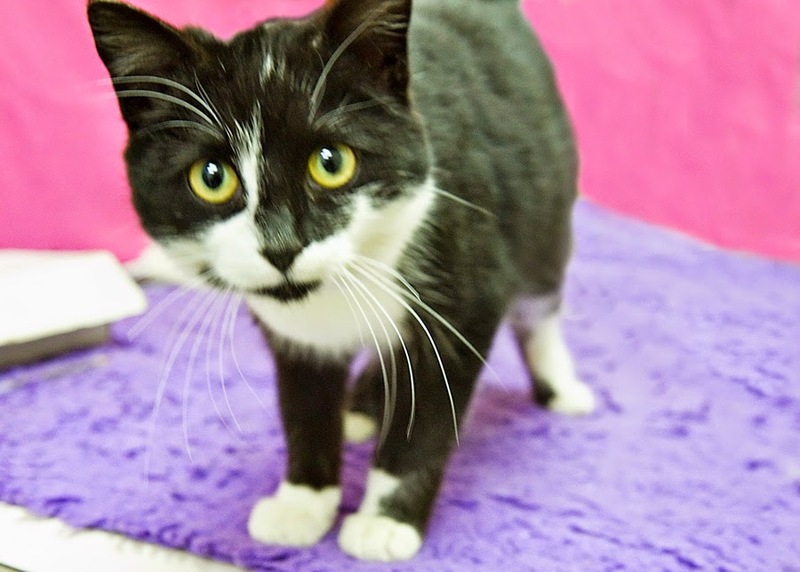 This little black and white tuxedo kitten is a 7-9 month old female. She has had her shots and flea prevention and has been wormed. 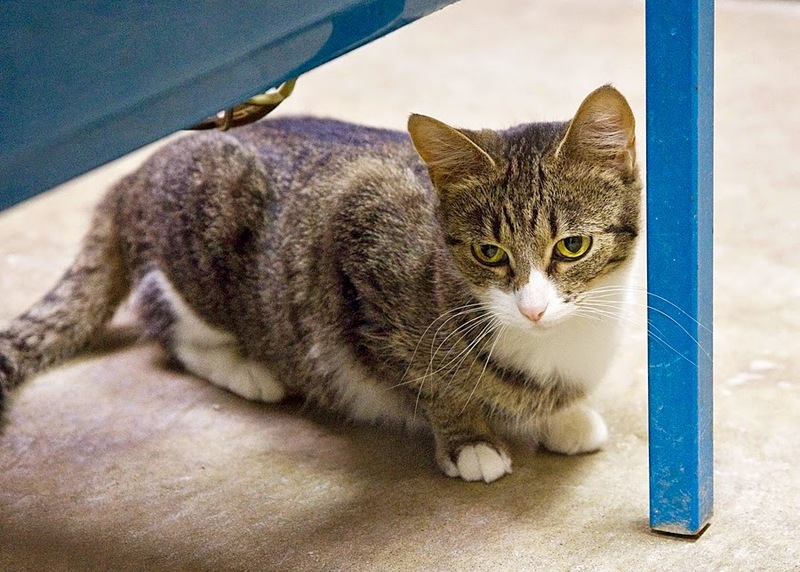 She arrived at the Humane Society of Noble County on February 7, 2015. She was a little camera-shy, but loves to be held and petted. Whenever I would put her down to take her picture, she would head straight for me and rub up against me, so I had a little trouble getting any decent pictures. 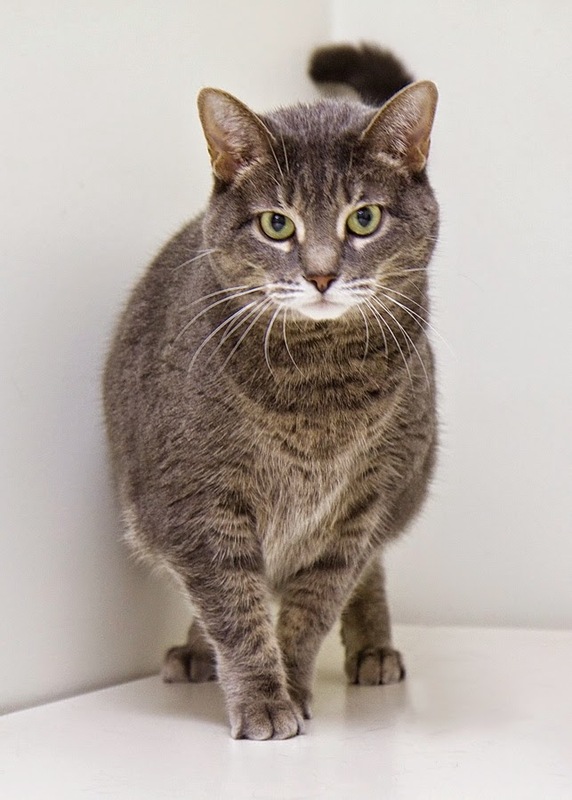 Come see Irene and consider making her part of your family! All of these animals and many more are awaiting your visit at the Humane Shelter of Noble County. Please help them find happy homes. If you cannot adopt a pet, talk to someone who can! 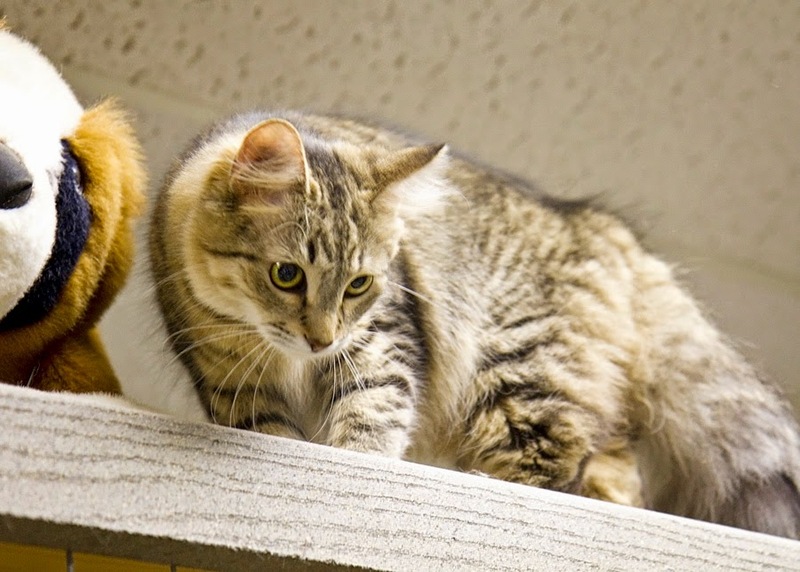 Here are some more beautiful, sweet cats that are available for adoption at the Humane Society of Noble County. Even though they have nice homes there, they would love to have a forever home with you! The cats that I'm posting today all sort of look alike, but are slightly different in coloring. First, meet Tabby. 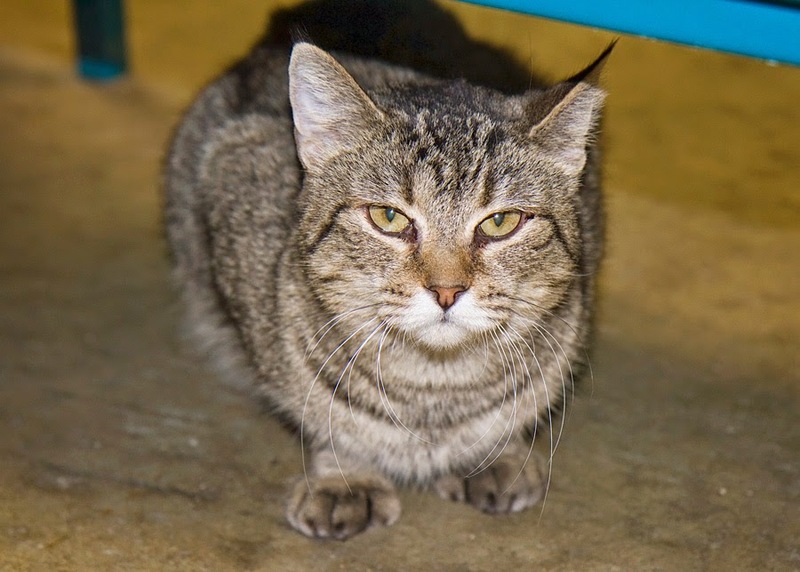 Tabby is a 2-year-ole female at the Noble County Humane Shelter. She is a black and tan tabby with long hair and a big mane. 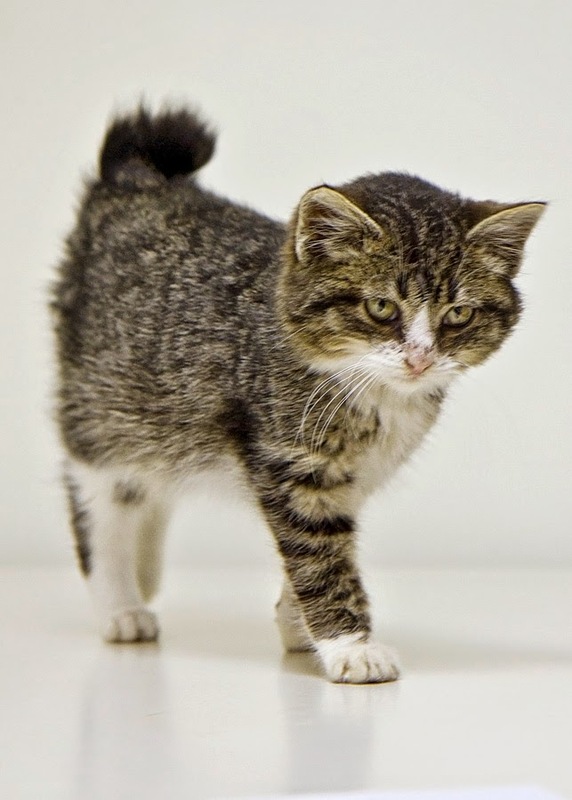 Tabby is FIV-negative, has been wormed, and is up-to-date on shots and flea prevention. She has been at the shelter for almost 9 months. Tabby is a real lover, but she also likes to play. In this second picture you can see her playing with a feather toy. She is easily amused and would make a great pet for your home. Please consider adopting her! Next up is Tabby's look-alike - Mariana, although their coloring is slightly different. 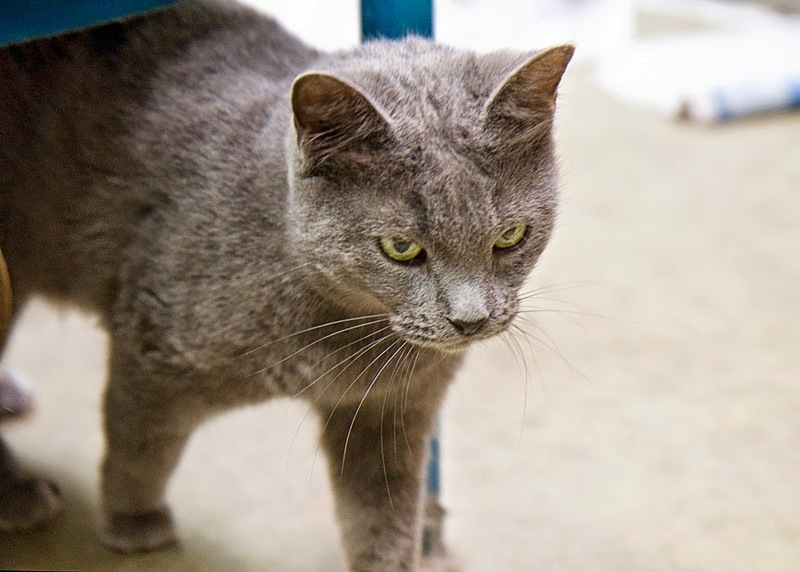 Mariana is a 3-year-old female who has been at the shelter since late October. 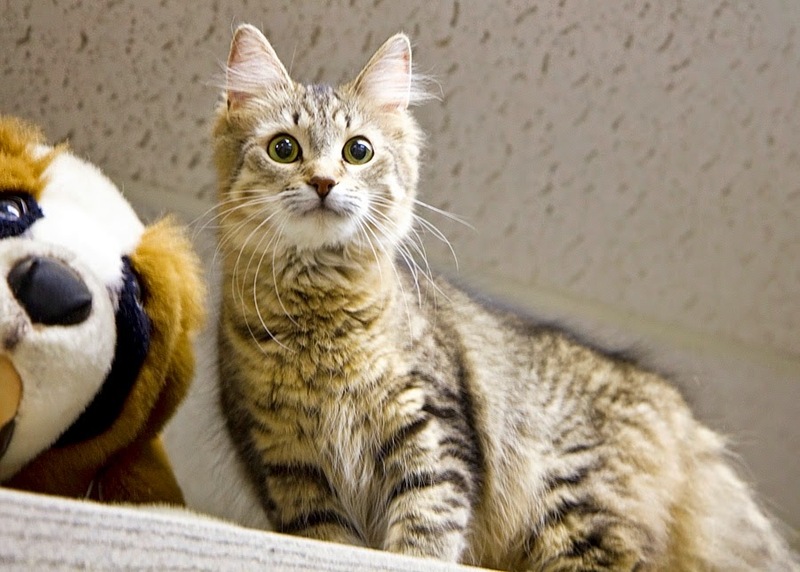 She is a long-haired black and tan tabby, with gorgeous coloring, including a few orangish patches. She has been wormed, is current on shots and flea prevention, and is FIV-negative. Mariana loves to have her long hair brushed! She is a very calm and affectionate cat. Come visit her at the Humane Society of Noble County. Maybe you can give her a forever home. And finally, we have little Meeka. Meeka is available at the Noble County Humane Shelter. She is a small black and tan tabby with a white muzzle, very pretty markings, and big green eyes! She is about 8 months old and has been at the shelter since October. She is up-to-date on shots and flea prevention, has been wormed, and is FIV-negative. Meeka has the fluffiest tail I have ever seen! She is very curious, playful, and loves to be up high. 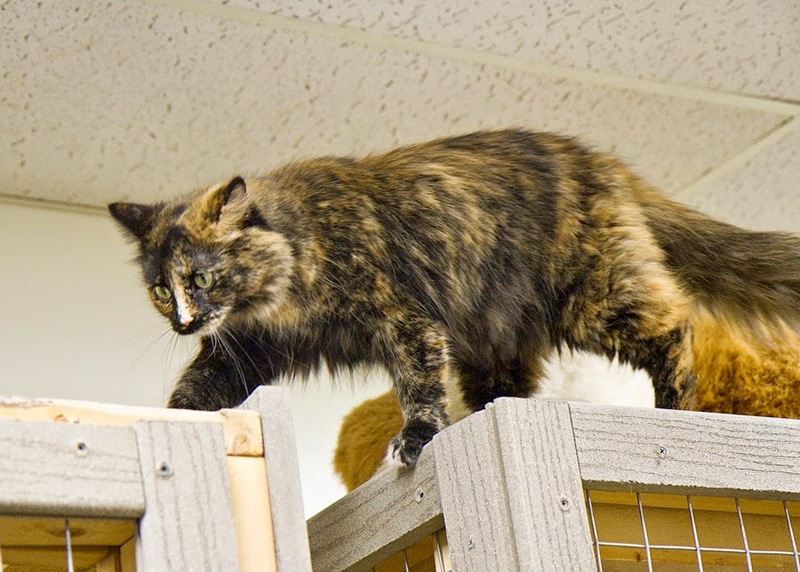 In these pictures, she has climbed up on top of the cattery to get a better view of her world! She also loves to be groomed and petted. Come see her at the shelter! Please consider adopting one of these cats or any of the other wonderful animals at the shelter. They would add so much joy and love to your life, and you would definitely add joy and love to theirs!! 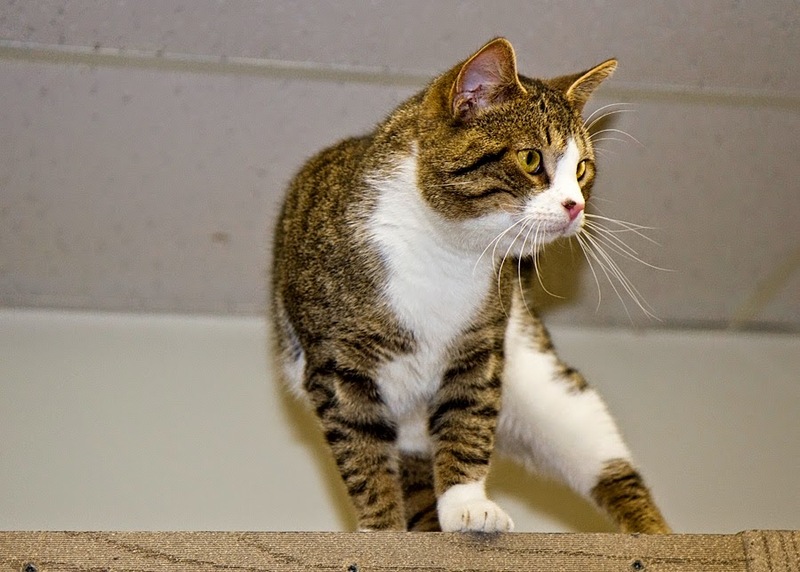 Here are three more cats who are available for adoption at the Humane Society of Noble County. They would all love to have you meet them and consider taking them home. 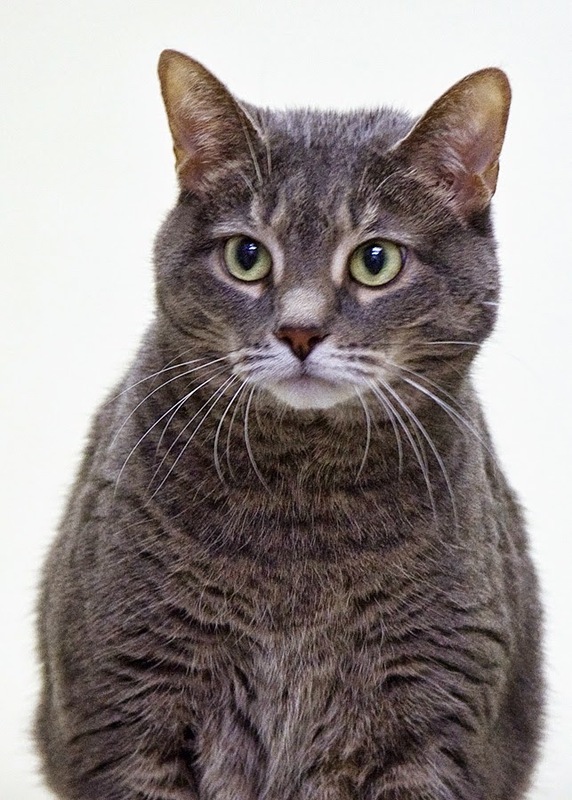 She is a dark gray and tan tabby who is probably 3-5 years old. And look at the white which outlines her eyes, making her even more beautiful! 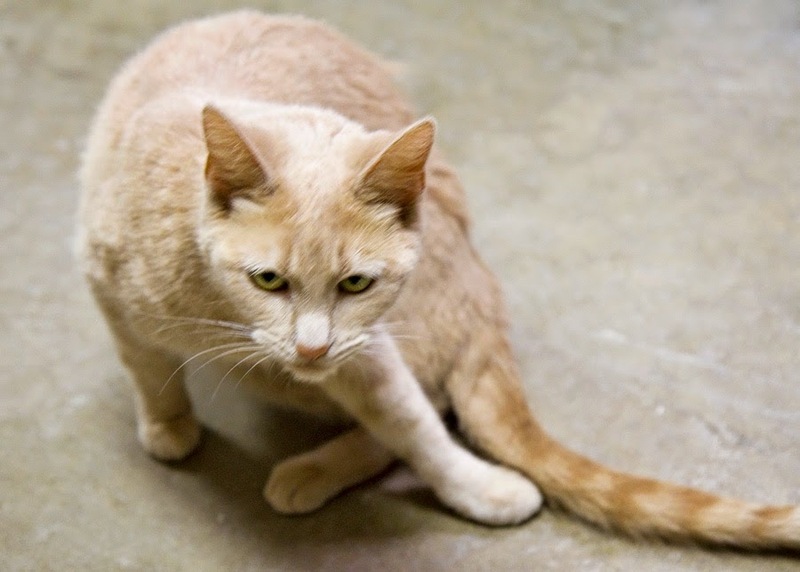 Sparkle is spayed and declawed on all four feet. She has also had shots and flea prevention and has been wormed. 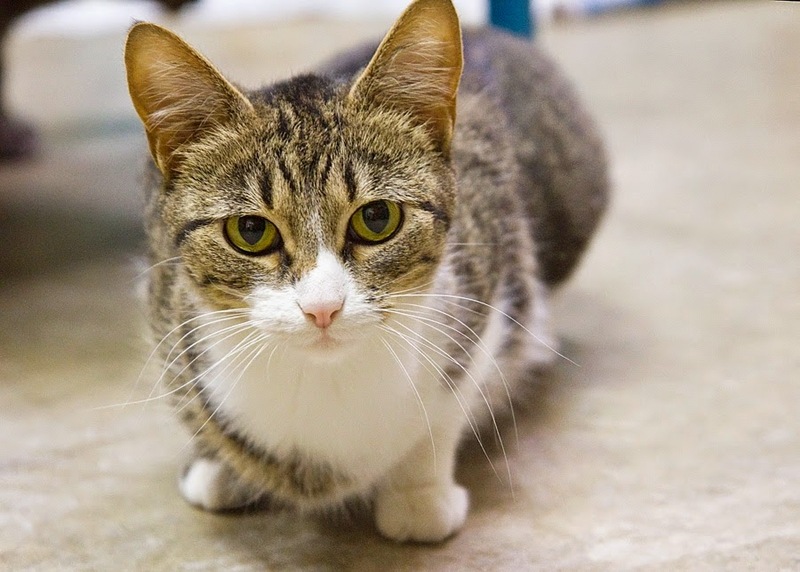 She is a very affectionate girl, and is one of the newest cats at the shelter. She has been very well taken care of and would love to find a permanent home! The next cat is Cali. 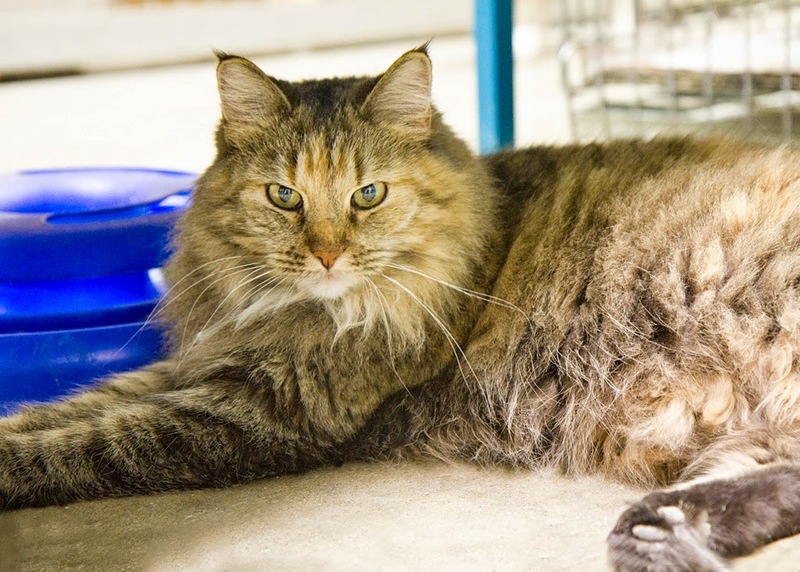 This is Cali, a female tortoise shell cat of undetermined age. She is up-to-date on shots and flea prevention and has been wormed. She has been at the Noble County Humane Shelter for almost 6 months. As you can see from the pictures, Cali loves adventure and likes to explore. She is up on top of her cattery, making friends with the big stuffed dog. She also loves to be cuddled and brushed. Come see for yourself what a sweetie she is! Today's final cat is Jenny. She is a black and tan tabby with white chest and paws. 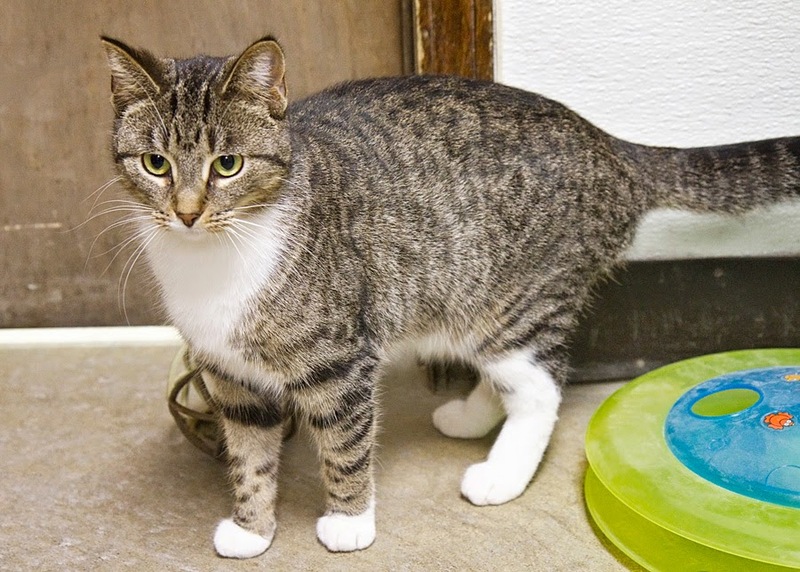 Jenny is about a year old, and has been at the Noble County Humane Shelter since mid-January. She has been wormed and is up-to-date on shots and flea prevention. She is FIV-negative. Jenny likes attention and she loves to play with toys, but she was a little camera-shy! Come meet her - you won't be disappointed! All of these animals love human attention and would love to go home with you! Please come to the Noble County Humane Shelter and visit them! 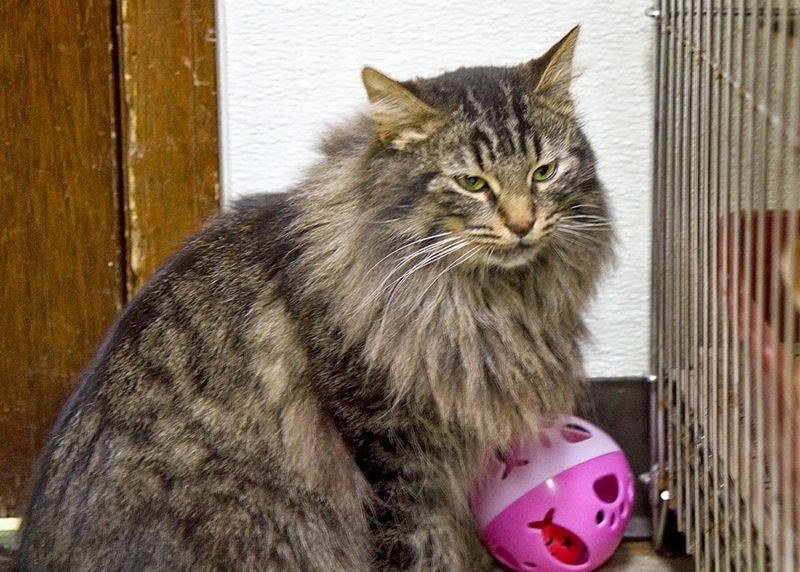 Here are some more wonderful cats that are available for adoption at the Humane Society of Noble County. If you like any of them or would like to see many other cats and dogs, please visit the shelter to pick out one which would complete your family. Today's first kitty is Buffy. has been wormed, and tested FIV-negative. Buffy is very friendly and loves attention. Even though her fur is relatively short and she keeps herself very well groomed, she loves to be brushed. She will sit on your lap and purr and purr while being brushed. She would love to share your home! Please come visit her! The next cat is Satin. 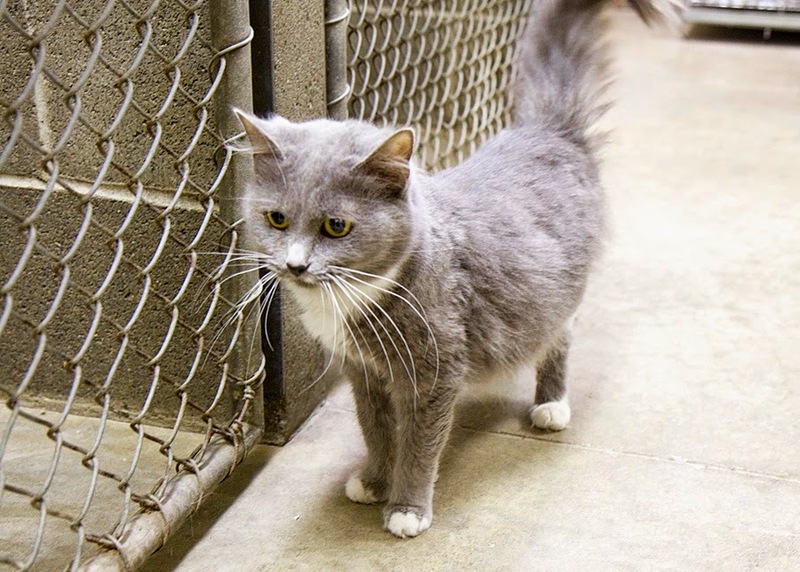 She is 2-3 years old and has been at the Noble County Humane Shelter for almost 9 months. She is wormed, is up-to-date on shots and flea prevention, and is FIV-negative. 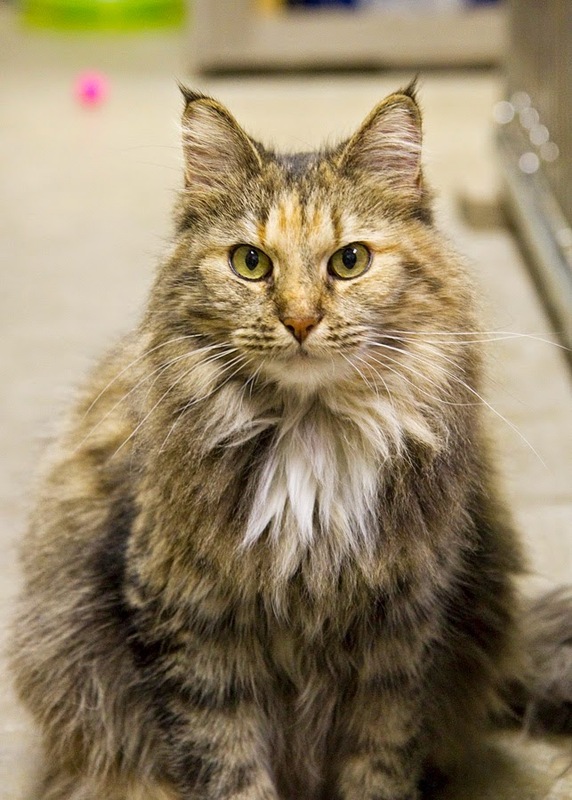 She has a beautiful thick coat of fur and gorgeous green eyes. She likes to explore and loves attention, although she was a little camera shy. 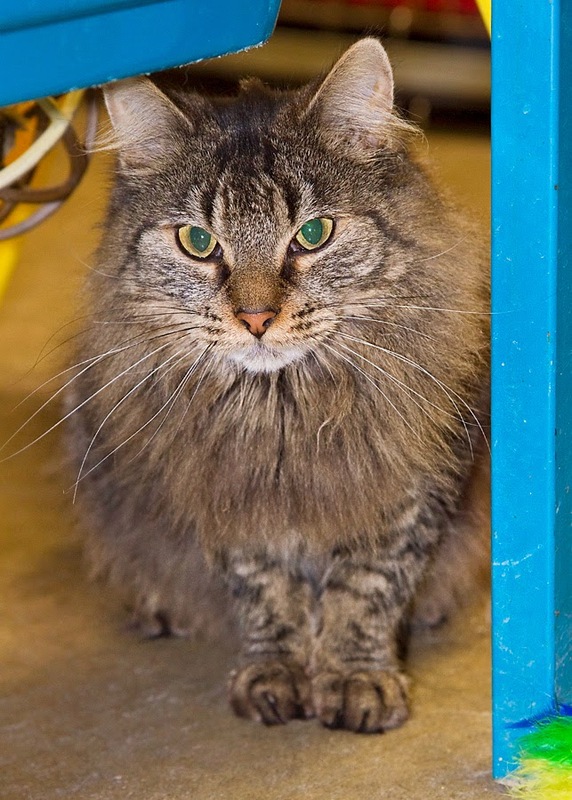 Come meet Satin and many of the other great cats and dogs at the shelter. You will fall in love with one of them! 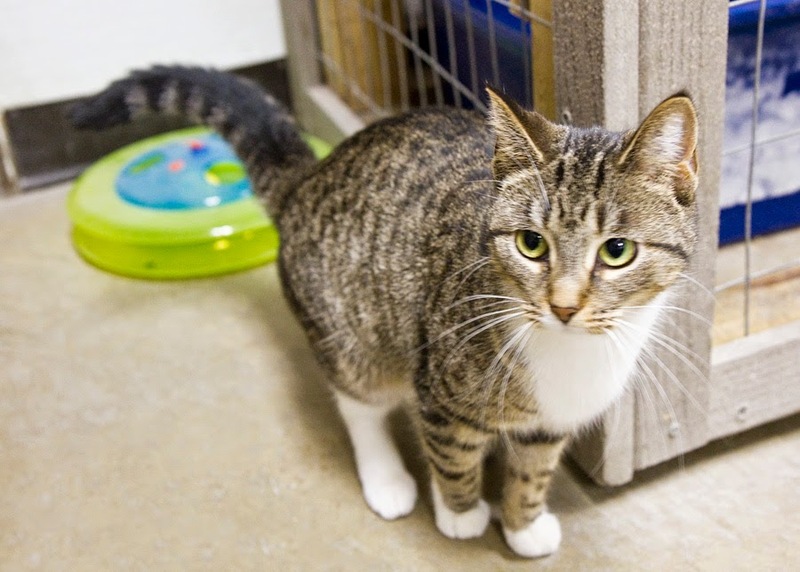 She is a 2-3 year old black and tan tabby with a white chest and paws. She is up-to-date on shots and flea prevention, has been wormed, and tested FIV-negative. Cookie has been at the Noble County Humane Shelter since last June. She is a gentle girl who loves attention. Please come visit her and think about giving her a forever home! And last, but definitely not least, is Heath, a.k.a. Harry Potter. 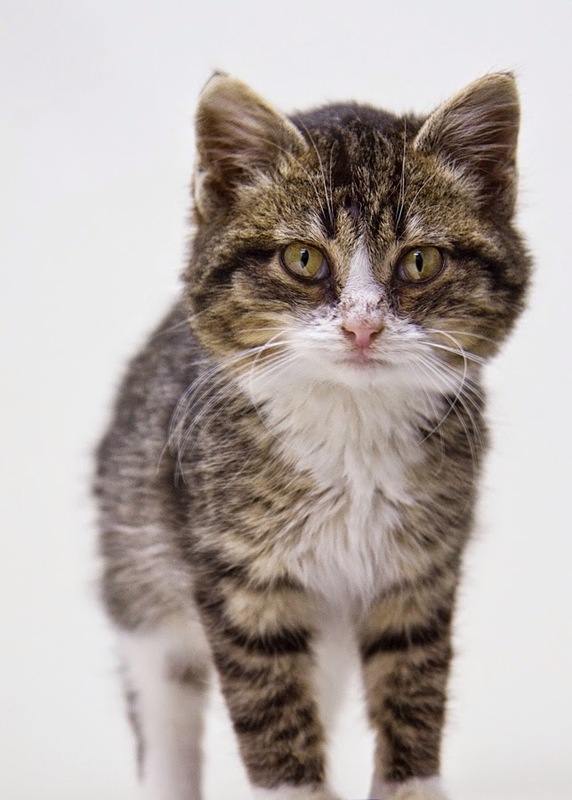 This adorable baby is only 3 months old and is one of the newest cats at the Noble County Humane Shelter. 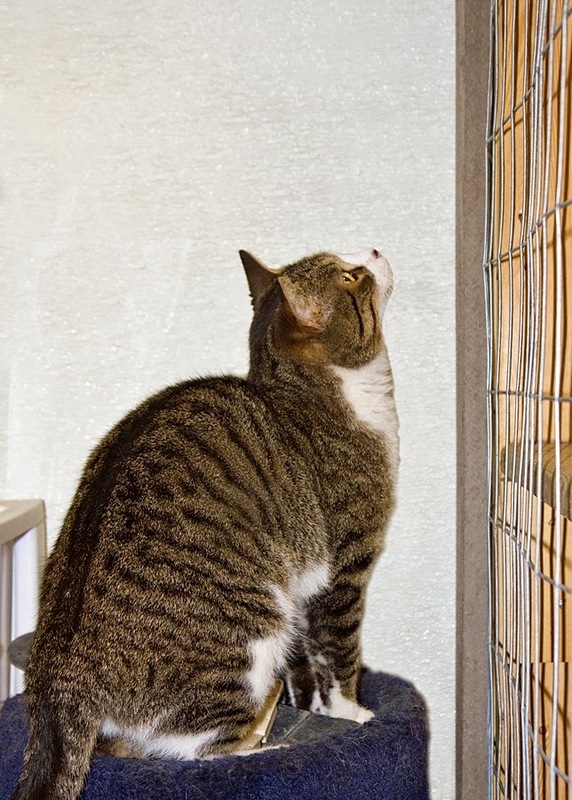 As you can see, he is a black and tan tabby, with gray and white markings. 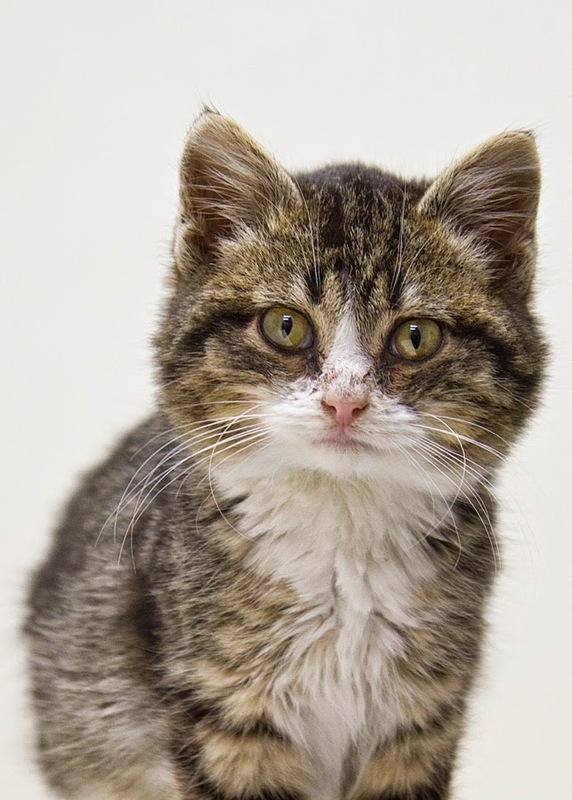 He was born with a bobtail, which just adds to his cuteness, and has irresistable facial expressions. He has had shots and flea prevention and has been wormed. He is very friendly and loves attention! He would love to have you visit him at the shelter. 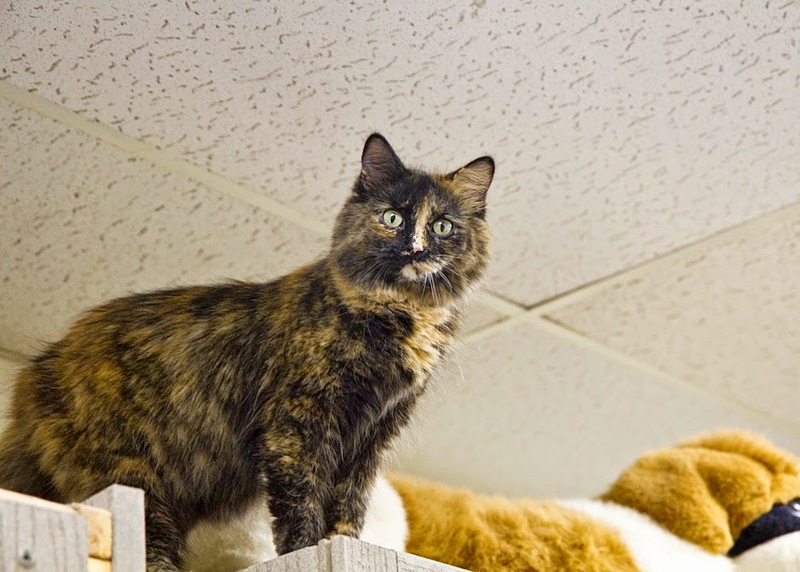 Please visit these cats and the many other great adoptable animals at the Humane Society of Noble County. You will surely find one to take home!